To say he is the man of literature at the moment would be an understatement. His latest book, Black Leopard, Red Wolf, is listed on America’s Black History month highly recommended list. His third book which came out in 2014, won him the Man Booker Prize, the second West Indian to win this august award after V.S. Naipaul in 1971. A Brief History of Seven Killings, has had so much accolades lauded in its direction that I will choose only two and let you fill in the imagined others. Irvine Welsh wrote “The most original novel I have read in years. A haunting incendiary work”. The Sunday Telegraph wrote, “A vivid novel that deserves all the praise that it received”. In 2014, the book also made the recommended list of reading by all the leading publications including, Amazon, Time, Washington Post, Wired, Wall Street Journal Seattle Times, and BBC Culture. Yes it would be the book that brought Marlon James to world prominence. Like all over-night sensations, the real story is hidden for those who prefer their narrative fairly-tale style. At age 34, in 2005 his first novel was published. The title John Crow’s Devil. The book had been turned down no less than 70 times. A biblical Struggle in a remote Jamaican Village in 1957. He was born in Jamaica on November 24th 1970. Both his parents were policemen and introduced him to literature at an early age. His father introduced him to Shakespeare and Coleridge. Soon he would move on to Dickens and other English writers. His love of English writers led him to a love of most things English. Indulgently loving bands like, the Smiths and films like Monty Python’s Life of Brian. However he sites reading Salman Rushdie’s Shame, as the book that gave him belief and a path to his own voice. “Its prose was audacious, it’s so unhinged, that you didn’t see at first, how pointed political and just plain furious it was. It made me realise, that the result is something I could write myself out of”. Before starting A Brief history of Seven Killings, I decided to re-watch Who shot the Sheriff, a documentary covering the same ground and then back to Seven Killings. Within a few chapters Marlon James’ characters including Artie Jennings, 14 year old Bam Bam, whose mother is a prostitute, Nina Burges-a light skin Jamaican and gangsters with names like Josey Wales, seem to be telling their stories like they are pitching for their lives to be Hollywood bio pics. The language is harsh, unsentimental, volcanically unrelenting, in your face, take it or leave it attitude and insightful. It takes time for the reader to adjust to this higher level of honesty. But James can also be a conundrum. Over the years he has spoken and written about his confused sexuality, referring to himself as “narratively promiscuous”. Yet most of his male Jamaican characters seems to be going out of their way to express homophobic language, and tendencies. Almost every male character is referred to as battyman. One writer, wrote believe the hype it is real, as much as I wanted to laugh and ignore the statement, it was said with accuracy and truth. 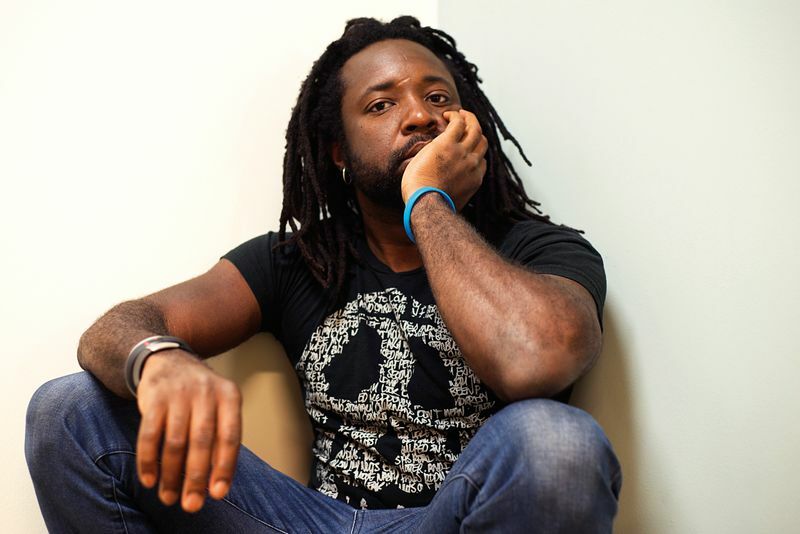 Is Marlon James a special writer? Is he in a class of his own? Is he someone who will last the test of time beyond his generation? Definitely yes to all of the above. That is why I recommend attending his audience with Ekow Eshun – a must go to event.